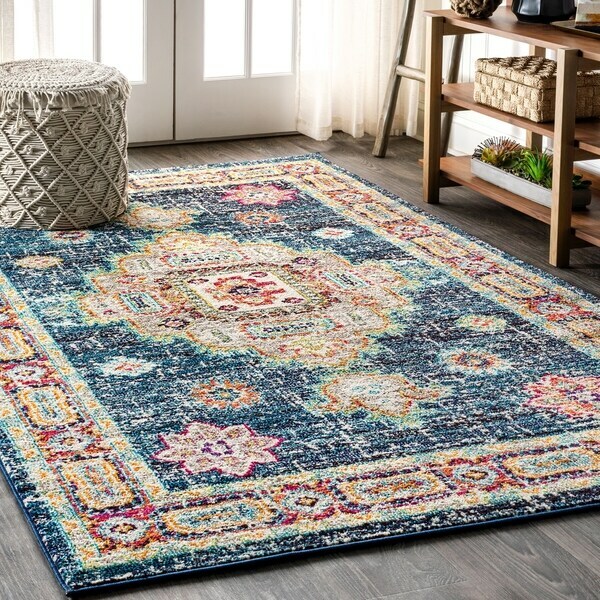 Whimsical in color, the traditional framed medallion design on this bohemian rug adds a tasteful splash of color to any style of decor. Whether for a high traffic space like a living room or dining room, or a private space like a bedroom or bathroom, the durability and style combine to create the perfect floor covering. In shades of navy, red, aqua, and ivory; this rug is a stunning accent for any space.